This page lists the Ampex VTRs that do not fit in the quad, 1 inch, or digital categories. Most notably, the 2 inch helical VTR listings can be found here, as well as a number of alomost-unknown small format VTRs. I am sure that this list is woefully incomplete. If you know of a VTR that should be listed here, please let me know! Thanks go to Stan Busby and Don Norwood for many contributions to the material on this page! Updated 10-19-2004 Email address updated. Updated entry on the ARC-40. Click here for a picture of a VR-8000. Click here for a closeup picture of a VR-8000 scanner. 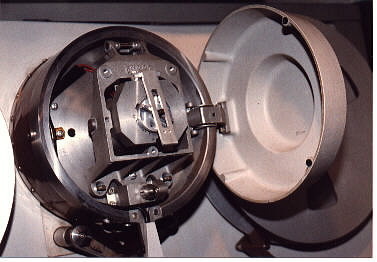 Click here for a picture of a VR-8000 head assembly. The VR8000 was the very first helical scan VTR. This machine just barely qualifies as a product, as only four of them were delivered to customers. The product was cancelled on the eve of it's going into production, as it was felt all the bugs hadn't been worked out. The machine design was converted to quad, and became the VR1100. The four 8000's were also later replaced with VR1100's. Click here for a picture of a VR-1500. The VR-1500 was introduced in 1963. It was an early attempt at an easy to use, compact VTR. The machine was 28.5 inches wide by 17 inches deep by 14.5 inches high. Weight is just under 100 pounds. The machine was fully solid state. The format is a two head, nonsegmented helical scan format, monochrome only. Video response was 3.0 MHz at 38 dB SNR. Four motors were employed: video head, capstan, and 2 reel motors. The tape moved at a sluggish (For those days) 3.7 inches/second. A 12 1/2 inch reel of tape could record up to 5 hours at this speed. Note the joystick control. this implied the machine has a fairly advanced system control for it's day. Sorry, there is no picture of a Signature V.
This machine undoubtedly holds the record as the earliest home VTR. Introduced in the 1963 Niemann-Marcus Christmas Catalog, this machine carried the hefty pricetag of $30,000! The VTR (A VR-1500) was mounted in a console that also contained a 21 inch color TV (The VTR was B/W only, though. ), stereo tuner, turntable, and audio tape recorder. A B/W TV camera was also included. Exactly one machine was sold! Sorry, there is no picture of a VR-600. I know nothing about this machine, other than it used 2 inch tape. Sorry, there is no picture of a VR-650. Sorry, there is no picture of a VR-660. The VR-660 was the first helical scan VTR commonly used in broadcast work. It was a descendant of, and shared the tape format of, the VR-1500. However, the VR-660 grew to have color capability, electronic editor, etc. in it's fairly long lifetime. Click here for a picture of a VR-420. This was a very interesting machine. It is an EIAJ format machine, most likely built by Panasonic or JVC. However, it has stereo audio. It is the only EIAJ machine I have ever seen with stereo audio. One of these very rare machines slipped through my fingers recently, but the original owner, Mike Burke, gave me permission to use the above picture. Sorry, there is no picture of an Instavision VTR. Another early attempt at a consumer VTR. This format was apparently a cartridge-based variation on EIAJ. Nothing else is known of this failed product. 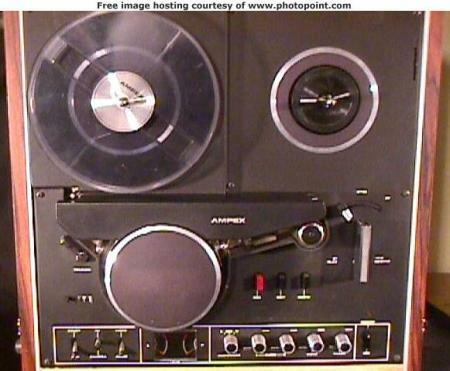 Sorry, there is no picture of an Ampex M-format machine. 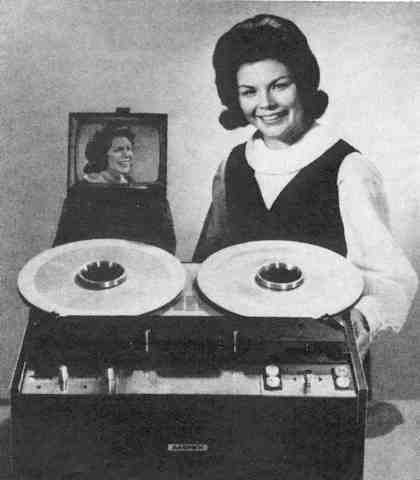 Ampex briefly dabbled in M-format. They marketed a studio deck and a camcorder, both built by Panasonic. 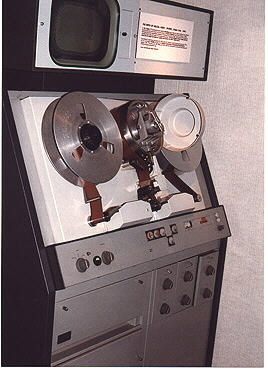 This was Ampex's first component VTR. Oddly enough, Ampex never marketed a component VTR designed and built by them. M format used YIQ components, while everyone else used Y, R-Y, B-Y. This was the only component format that employed these NTSC-unique encoding axes.One unique advantage of M format is that it could use ordinary VHS tapes (although premium quality tape was preferred). This was supposedly an advantage to field videographers, who could go to any nearly convienence store to buy tape in a pinch. Quadruplex Park (at long last!) has an ARC-40. Sorry, there is no picture of Ampex Betacam. 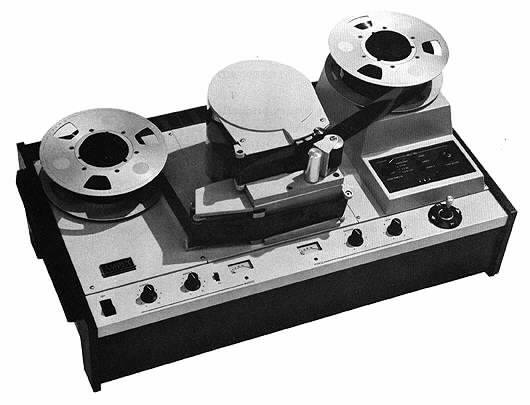 CVR-1 (BVV-1) Early non SP dockable Betacam recorder. CVR-5 (BVVV-5) Dockable Betacam recorder. CVR-35 (BVW-35) Portable Betacam VTR, small cassette only. CVR-50 (BVW-50) Portable Betacam VTR, accepts small and large cassettes. CVR-60 (BVW-60) Studio deck, player only. CVR-65 (BVW-65) Studio deck with AST (Sony's DT circuit), player only. CVR-70 (BVW-70) Studio deck, record/play. CVR-75 (BVW-75) Studio deck with AST, record/play. CVR-200 (BVW-200?) Integrted Betam Camera/camcorder. Click here for a picture of a VR-303. This machine was introduced circa 1965 for industrial or educational use. It is a longitudnal standard, with a tape speed of 100 ips. It featured a whopping 1.5 MHz of video bandwidth! The tape used was 'Ampex 143 Video Tape'. This tape was exceedingly thin for it's day (.5 mils. ), and a 12 1/2 inch reel of tape held 12,600 feet! The machine was in a cabinet very similar to the type 'A' machines, and weighed 95 pounds. Cost was, $3,950, which was a lot in 1965. It was also available in a roll-around cart, along with a camera, picture monitor and other accessories. (System cost was $6,000.) I seriously doubt many were made.